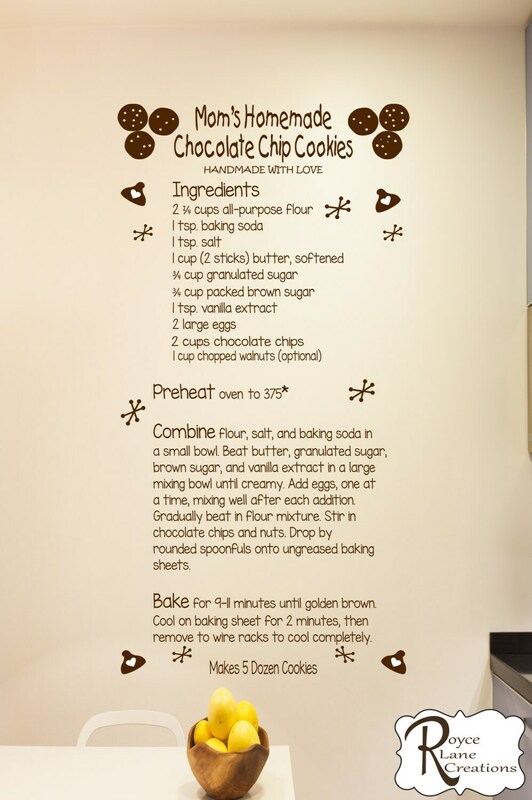 This decal is an actual classic chocolate chip cookie recipe. The font and decorations make the decal playful and fun! 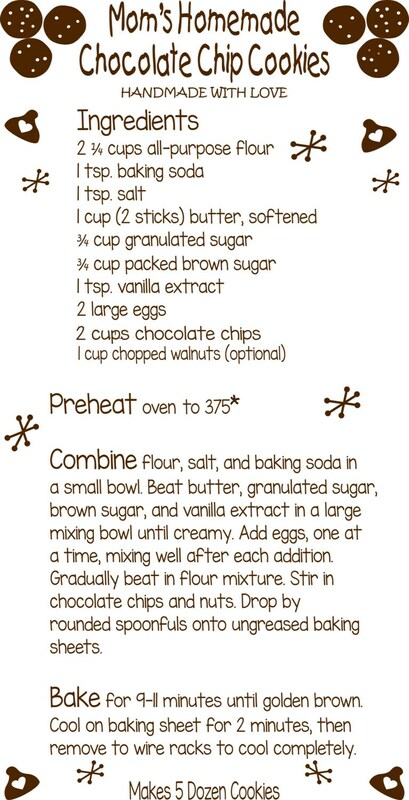 It would look great on a vertical kitchen wall space! The decal measures a large size 22.5" wide by 44" tall and comes in your choice of color. Please see the drop down color menu to the right for colors. A close-up of the decal can be seen in the 2nd photo. 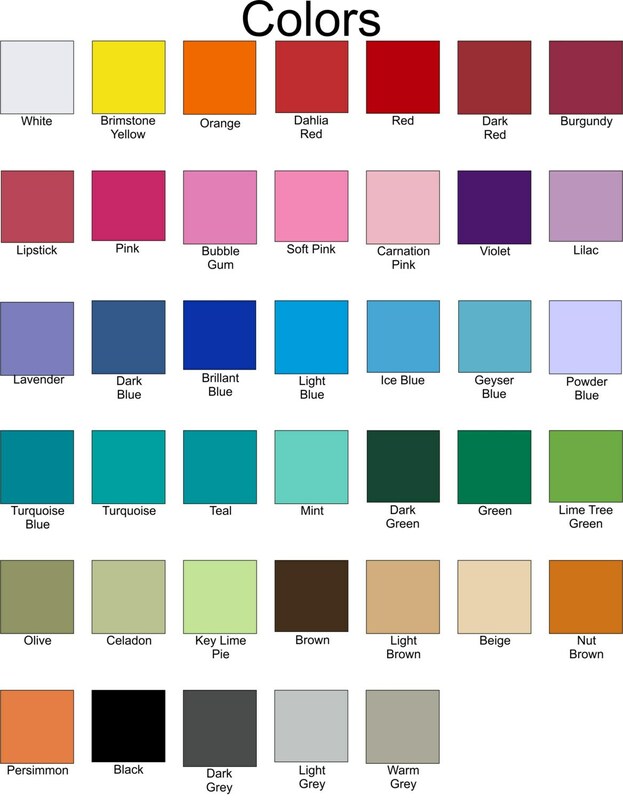 Our color chart is shown in the 3rd photo. Our vinyl is a professional grade of .3 mil thick vinyl. Once applied on the wall, it will look like it has been painted on the wall. These decals are really beautiful!